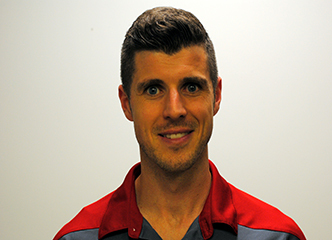 Colin is a strength and conditioning coach at the Sports Surgery Clinic with a role that includes the rehabilitation of lower-limb injuries and the delivery running performance services. He completed a degree in Strength and Conditioning with Setanta College in 2015 and completed Masters Degree in Coaching and Exercise Science in University College Dublin in 2016. He is an IAAF Level 4 certified endurance coach, coach eduaction tutor with Athletics Ireland and an accredited professional member of the Sport Ireland Institute in High Performance Sport Strength and Conditioning. He has over 15 years experience in high performance sport having represented Ireland at the 2008 and 2012 Olympic Games in the 50km walk as well as a number of top 12 perofrmances at world and european level. He has also coached other Irish athletes to Olympic level. In 2011 he founded The Altitude Centre Ireland and pioneered the development of Irelands first residential altitude training centre at the University of Limerick. His main areas of interest include the rehabilitation of tendinopathies and muscle overload injuries, biomechanics, physiology and athletic development. Colin is undertaking a PhD on the biomechanics of muscle-tendon interaction at the achilles during exercise, working under JB Morin at the University of Côte d’Azur and in collaboration with SSC Sports Medicine. Athletics Ireland Level 3 coach (IAAF Level 4).